Clarke Historical Library News and Notes: Hope May to Speak March 31: "Peace, Patriotism, and Public Education"
Hope May to Speak March 31: "Peace, Patriotism, and Public Education"
On Thursday, March 31, The Clarke welcomes Central Michigan University professor of philosophy and religion, Hope Elizabeth May. Drawing on select items held by the Clarke Historical Library, including the work of former CMU President E.C. Warriner (1866-1945) and U.S. Suffragist May Wright Sewall (1844-1920), Professor May will discuss how both individuals - and the organizations which they represented - conceptualized peace, patriotism, and public education. 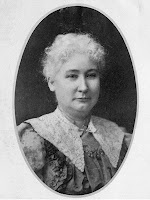 Sewall was an educator, co-founder of the Girls' Classical School of Indiana, writer, lecturer, reformer, and pacifist. 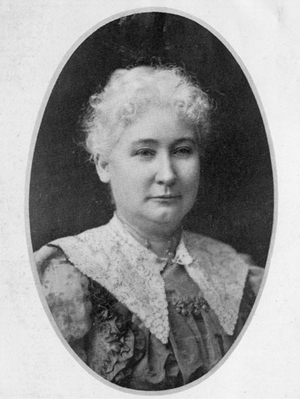 She was president of the National Council of Women of the United States, 1897-1899, president of the International Council of Women, 1899-1904, Chair of the Committee for Peace and Arbitration, 1904, Chair of the Executive Committee of the Women's Suffrage Association, 1882-1890, and co-founder of the Indianapolis Equal Suffrage Society, 1878. In 1892, Warriner became the principal of Battle Creek High School. In 1895, he moved to Saginaw as the principal of East Saginaw High School. Just four years later, Warriner became the superintendent of the Saginaw school system, a position he held for 18 years, while also playing an important role in the state’s Peace Movement and efforts to integrate peace education into the K-12 curriculum. In 1918, he became CMU's president. During his tenure, CMU grew from fewer than five hundred to nearly a thousand students. The school offered its first bachelor of arts degree and graduate courses during his tenure, and built the first women's dormitory on a normal school campus in Michigan. 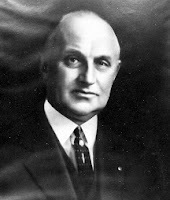 President Warriner retired in 1939. This presentation begins at 7:00 pm in the Park Library Auditorium. A reception will be held in the Clarke following the lecture. If you would like more information about this event or need accommodations, please contact the Clarke via e-mail or by calling 989-774-3352.